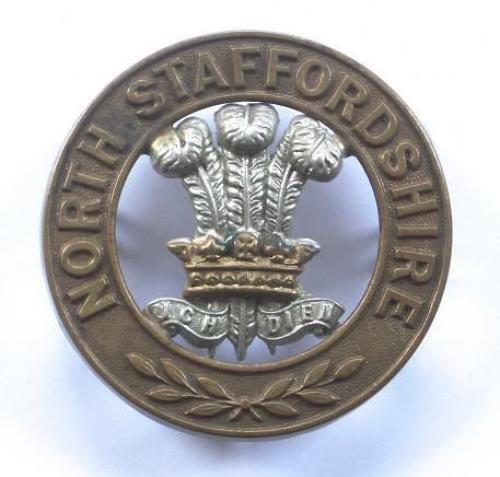 North Staffordshire Regiment post 1881 helmet plate centre. A good die-stamped bi-metal example. Prince of Wales's plumes within circlet inscribed "North Staffordshire" and ornamented with laurel sprays at the base. Two of four loops to reverse.